The first thing that one should understand is that there is no such concept as ‘perfect investment’. No one should have all their investments in one place. It’s like the proverb; don’t keep all your eggs in one basket. People invest for various reasons like to get tax exemptions or have safer future or maximize returns etc. Before you put aside say, $10000 for investment, you should have your objectives clear about why you want to invest. Along with the objectives you should also be sure about how much of a risk are you willing to take. Risk will determine how much of your investment will you put in equity or government bonds or mutual funds and similar things. If you are using the services of a financial planner then be frank with him regarding these factors. Liquidity is another factor you should consider while investing. If you want easy access to the amount of $10000 that you are investing (in other words high liquidity) then you should consider investing in Money Market fund. But when you want high liquidity you should forego other possible objectives like higher growth opportunities and tax advantages. 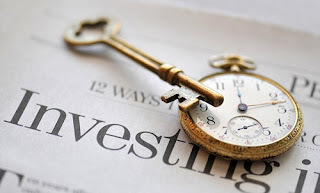 If you don’t go for Money Market funds and still require high liquidity, then you may be paying fees or penalty and market losses just to take your money out from the instrument that you had it invested in. For instance, if you had invested $10000 in stocks and due to bad market performance it has dropped down to $5000. At that point you want to withdraw the money to pay house mortgages. Hence it’s important to write down your objectives before thinking of ways to invest. Let’s take another instance; if you are earning only enough to sustain your living and your objective is to create another income source after retirement then the best investment plan for you is the 401k plan. It is a very good idea to make use of a 401k if you have access to it at work. So if you can invest $10000 a year then it’s recommended that you invest $5000 in such an instrument and the remaining in funds and options where you get a liquidity option without fees and penalties. One should be extremely careful about various fees and costs associated with different funds. Your $10000 in an incorrect mutual fund will eat away $200 a year on fees and miscellaneous expenses and will erode your capital by a good $500. Though the fee amount doesn’t seem like a lot, over time it pinches every beginner. For instance, many people invest in long term bonds and earn about 6% a year as returns. Of this return, it’s crazy to give back a third or a half as fees or charges. No Load index funds are the best. There are no sales taxes on these and you can get away with fees as less as $50 a year. Managing your investments need not be like a part time job for you but it does need ongoing efforts from your side every now and then. Keep a constant check of your monthly and quarterly investment status and never lose track of your investment. Always remember that unless you know there is some problem you can’t fix them, hence if there are any doubts about your investment statement or any charges you don’t agree with then do speak to your financial institution or planner and sort it out. So we can say that setting your investment objectives, choosing the correct investment channel, minimizing costs or fees, and keeping periodical track of your investment will ensure your investments grow organically. Once you have extra cash for liquidity you will be one step ahead of others in terms of spending. One major question that every present or future investor has is how to ensure that we don’t commit simple investment mistakes. Most beginners tend to make some basic mistakes no matter they invest $1000 or $10000 or more than that. The mistake may seem simple but they can lead you to lose a lot of money. Hence all beginners should be aware of these mistakes and learn from them. Wow! That was really such a nice tip for doing a right investment at all. Great!